Giampaolo Coral (1944-2011) was both a composer and a choirmaster. For many years he was the artistic director of the "Premio Musicale Città di Trieste", one of the most important International Competitions for Musical Composition of Italy (member of the ''Fédération Mondiale des Concours Internationaux de Musique''). In 1987, he founded ''Chromas – Associazione Musica Contemporanea'', an association for the promotion of contemporary music in Trieste. That same year, he also founded the festival ''Trieste Prima – Incontri Internazionali con la Musica Contemporanea'' and collaborated with major music festivals. He became active as a musical consultant for various theatres (for example the Giuseppe Verdi in Trieste) and taught choir practice at the Conservatory in the same city. Coral was essentially a self taught artist. After graduating as a private scholar in piano from the conservatories of Venice and Genoa (diploma of honor), his first international success came at the age of 26 in Germany with the orchestral work "Requiem per Jan Palach ed altri" (1969), performed by the Stadt-Symphonie Orchester, Gelsenkirchen. Then, in 1971, another success came with an award-winning ''Magnificat'' for Orchestra and Soprano, recognized at the ''Città di Trieste'' Music Awards, performed at the Verdi Theater of Trieste and later at the Grosser Musikvereinssaal of Vienna, by the ORF Symphonie Orchester in 1973, and by the Orchestra della RAI of Milan in 1976. Many of his compositions won him prestigious international awards among them being the “Città di Trieste" Music Award, the ''Prix de Composition Musicale Prince Pierre de Monaco'', the ''Concours Européen de Composition'' in Leuven (Belgium), the ''Premio Internacional de Musica Oscar Esplà'' in Alicante (Spain), the ''International Edvard Grieg Memorial Competition for Composers'' in Oslo, as well as many others. Giampaolo Coral's music was performed at many international festivals, and was transmitted by several radio broadcasts both at home and abroad. A considerable part of his work concerned Orchestral Opera, such as “Metamorfosi per pianoforte e orchestra”, “Sei pezzi per orchestra”, “Suite per orchestra” - recognized at Montecarlo in 1978 - and “Dolce, calmo sorridente”, a tribute to Richard Wagner on the centenary of his death; the concert for violin and orchestra “Amras”, inspired by the story by Thomas Bernhard later recognized and performed in Spain. The concert for flute and orchestra “Tout à coup et comme par jeu”, recorded during the Trieste Concert with Roberto Fabbriciani (1983), was offered as a CD with the FaLaUt magazine (April 2011). Among his more recent orchestral works was “World Trade Center Requiem” which has been performed many times, for example in April 2011 at the Biennial of Zagreb. There are also many compositions in his lyrical repertoire, including "Favola", presented in the 1981-1982 season of the Trieste Theater, the chamber opera "Il canto del cigno'', recognized at the International Competition "Carl Maria von Weber" in Dresden, and the chamber opera “Demoni e fantasmi notturni della città di Perla”, presented at the Mittelfest in Cividale (Italy) in 1999 and in Zagreb the following year. Finally, "Mr. Hyde?" performed in 2008 at the Verdi Theater of Trieste. Other compositions of musical theater were included in productions and radio transmissions including “La canción desesperada” written by Pablo Neruda, “Le Beatitudini” and “Morte di Lucrezio” written by Ennio Emili, conducted by the author and directed by Giorgio Pressburger. His rich catalogue encompasses mainly choral music, initially inspired by liturgical music and continuously enhanced by his experience of teaching at the Conservatory of Trieste and directing the choir. His special mastery of choral music led Giampaolo Coral to win important awards (at festivals) and other awards at an international level. In the 1970s and 1980s, Coral was also known for his extensive production of incidental music (about 2000 performances) for many drama plays performed in Italian and foreign theaters (Burgtheater Vienna, Festival of Two Worlds in Charleston, Narodno Kazalisce Zagreb, Schauspielhaus Graz, Slovensko Narodno Gledalisce Ljubljana, etc.). The vast majority of his work was in the realm of chamber music. Apart from the numerous works for solo instruments, especially piano, he wrote many scores for duo, trio, quartet or larger ensembles. The use of the voice (in the form of singing or recitation) is not uncommon in his chamber music, with a particular fondness for the Lieder stimulated by his passion for poetry by Shakespeare, Chapman, Gryphius, Goethe, Trakl, Hölderlin, Rückert, Schiele, Quasimodo, Kosovel and others. Many of his works were inspired by paintings, dating from the 15th and the 16th centuries (Hieronymus Bosch, Albrecht Dürer, Pieter Bruegel), but also from more modern times, particularly Paul Klee and Alfred Kubin, whose graphic painting and literary works impressed Coral deeply. Ancient alchemical and mystical texts were a principal source of inspiration in his most recent works, such as those of Emanuel Swedenborg (“Memorabilia”), Jakob Böhme (“Ablutio vel mundificatio”), William Blake (“Tria unum”), or the anonymous “Aurora consurgens” (perhaps by Thomas Aquinas) found in the opera of the same name for large ensemble and violin soloist. 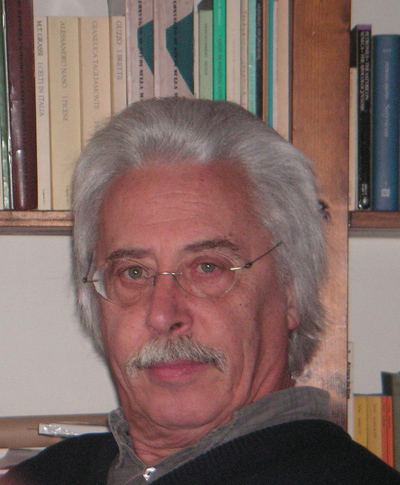 The "study" of alchemical texts and illustrations are also behind his last work for chamber orchestra “Isole II”, dedicated to the Orchestra "Ferruccio Busoni of Trieste’’ (and performed in December 2010) and three works (“Tre colori - nero, bianco, rosso”) composed in 2010 for the XII International Competition "Premio Trio di Trieste" 2011. A careful analysis of the composer Giampaolo Coral was carried out by Renzo Cresti in “L’Arte innocente” (Rugginenti Editions, Milan 2003) and by Coral himself, “Demoni e fantasmi notturni della città di Perla'. Biografia di Emilio Musul, un compositore” (Quaderno di Cultura Contemporanea 9, Monfalcone, 2008). - Premio di Composizione Musicale dell'Unione dei Compositori Ungheresi, Budapest (2° premio): Osservando Paul Klee, Trio per pf.,vl.,vc. Orchestra Sinfonica della RAI-Milano, National Opera Orchestra-Bucharest, Orchestre Philharmonique de Montecarlo, Orchestre Philharmonique de Radio France-Paris, ORF Symphonieorchester-Wien, Stadt Symphonie Orchester-Gelsenkirchen, Slovenian Radio Symphony Orchestra RTV-Ljubljana, Orquesta Sinfonica de Madrid, Biennale Zagreb, Praga Europa Festival, Festival Internazionale de Musique Sacrée-Fribourg (CH), ABC (Australian Broadcasting Corp.), First International Symposium on Electronic Art-Utrecht, Ensemble Corund-Luzern, Cluj Modern, Festival “Passage”-Warszawa, Archeus Ensemble-Bucharest, Festival G.A.M.O-Firenze, WDR (Westdeutscher Rundfunk), British Arts Centre-Buenos Aires, Estate Musicale di Taormina, Novecento Festival-Urbino, Slovenska Filharmonije-Ljubljana, The Second Emerging Expression Biennal-New York, DRS (Radio der Deutschen und Rätoromanischen Schweiz), Festival Internacional Encuentros-Buenos Aires, Settembre Musica-Torino, Hungarian Radio, Festival Edvard Grieg-Oslo, International Festival New Music-Sydney, Musica Nova-Sofia, Aspekte Salzburg, NRN (Norsk Riksktinggkasting Norway), Klangforum Wien, RBC (Romanian Broadcasting Corp.), Festival Nuove Sincronie-Milano, RSI (Radio della Svizzera Italiana), Pinacoteca Nazionale-Ciudad de México, Festival de Musica Contemporanea-Cuba, Festival di Musica Contemporanea-Bolzano, Todi Festival, ORF (Österreichischer Rundfunk), RAI (30 trasmissioni su rete nazionale), Centro para la difusion de la Musica Contemporanea-Madrid, Atelier-Théâtre radiophonique-Hilversum (UER), RomaEuropa Festival, Musica Viva-Beograd, Polska Radio, Spring Festival-Budapest, RSR (Radio de la Suisse Romande), Festival Mala Scena-Saraievo, Teatro La Fenice-Venezia, International Review of Composers-Beograd, Mittelfest-Cividale, RNE (Radio Nacional de Espana), Musicatelier Kunstszene-Brunico, Burgtheater-Wien, Wien Modern, Nuova Consonanza-Roma, Ensemble Wiener Collage-Wien, Henryk Wieniawski Music Society-Poznan, Ensemble InterContemporain-Paris, World Music Days-Oslo, Schoenberg Center Wien, Biennale Musica Zagreb, etc.